I was sitting in the living room on my couch trying to think of which direction I should go after Home. This is where we normally relax and watch some TV. Sitting there I looked all around the living room and dinning room seeing if something would spark an idea. The furniture and fabric we choose for our house is what makes it your home. Then, I took a closer look at the couch fabrics and kitchen table design. The table cloth pattern was perfect which lead me to the next word Decor. blue 15 from Elise Mullen on Vimeo. First step was to trace the pattern from the kitchen table. Then I had to transfer it to rubber. The transfer was a bit more of a pain then I thought it would be. Transfer paper did not work, it barely showed up. So I just took the tracing paper and cut through it with a pen so it would make a mark on the rubber. Having bought some print making supplies months ago and I couldn’t wait to use them! 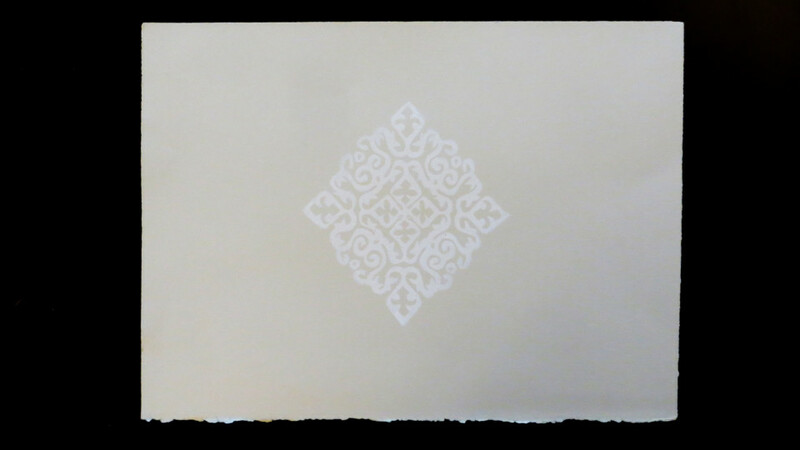 I hadn’t done much print making since I finished art school at Alberta College of Art and Design (ACAD). 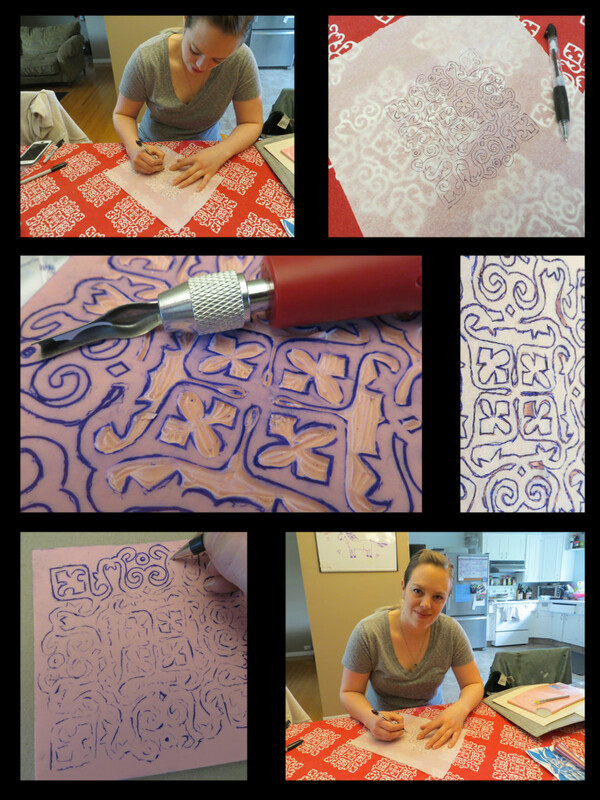 Next step was to carve out the pattern in rubber to make the stamp. I printed it on grey paper and sent the paper to Daria.